The first of 13 female corrections officers indicted on numerous federal charges earlier this spring has pleaded guilty to racketeering. The indictments came after a lengthy investigation by state and federal law enforcement into the highly profitable drug and contraband smuggling operations that were running rampant in the Baltimore County Detention Center. The indictments, which made national headlines a few months ago, alleged that corrections officers and inmates, particularly inmates of a notorious street gang, conspired to introduce various drugs such as oxycodone, suboxone, and marijuana into the jail population. After the contraband was smuggled through security, the gang members would sell it to other inmates. The gang members and their associates would also sell tobacco, cellphones, and other drugs such as cocaine and heroin. This particular corrections officer, a 31 year old from Randallstown in Baltimore County, was also accused of aiding in moving the contraband throughout the jail facility. She was originally indicted on charges of racketeering, drug trafficking, and money laundering, but federal prosecutors dropped all but the racketeering charge as part of a plea deal. The charge of racketeering carries a maximum prison sentence of 20 years, and there is no indication just how much time, if any, that the Randallstown woman will receive. Sentencing has been set off until January of next year for the first time offender. A deferred sentencing date is not uncommon in federal court, especially for a first time offender, but setting sentencing off for 5 months is a little out of the ordinary. The defense lawyer for the former jail guard stated that the 5-month layoff would allow her time to establish mitigating factors that will be presented at sentencing. What the defense lawyer did not mention was probably that the woman has agreed to testify against her piers and the inmate co-conspirators should any of these cases go to trial. Federal prosecutors typically offer better plea bargains to whoever first agrees to plead guilty in a conspiracy case. The one condition is usually that the defendant agrees to testify as a witness for the government if called upon. The judge presiding over this specific case has already stated in open court that the woman may face a harsher than normal sentence because she was in a position of authority, and took advantage of that authority. On the other hand the judge added that she might receive a break for pleading guilty so quickly. All in all it seems that the federal judge has not tipped her hand one way or another on a possible sentence. The other 12 female guards have yet to change their pleas of not guilty, but in the next month or two we may see most of them plead guilty. The evidence described in the indictment certainly appears to be both significant and credible. The blog will follow these numerous cases as they play out in federal court, although it may be months before each of the defendant’s cases come to a conclusion. 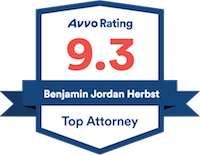 Benjamin Herbst is a federal criminal defense lawyer practicing in both Baltimore and Greenbelt. Contact Benjamin at The Herbst Firm for a free consultation about your case. 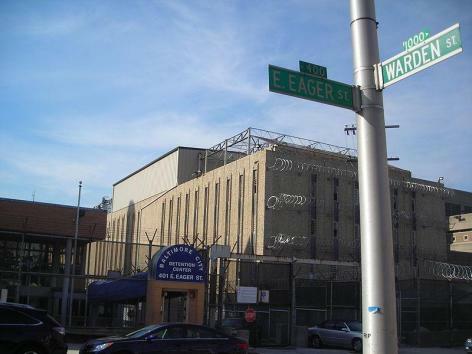 Baltimore guard pleads guilty to racketeering in jail scandal, washingtonpost.com.